Rainbow tissue paper is a fabulous way to create exciting colourful effects! Try using different colour combinations for your own amazing alien designs! Brush glue around the tops of 2 flowerpots. Stick the pots together to make the alien body shape. Leave the glue to dry. Tear some tissue paper into strips so you have a selection of colours to use. Make the strips about 3cm x 20cm. Brush PVA over the top of the pots, then paste the strips around the pots. Add another layer of glue on top of the tissue strips, smoothing them down with the brush. Leave to dry. Cut a 10cm piece from a pipe cleaner. Twist it around the longer remaining piece so you have an arm with 3 fingers. 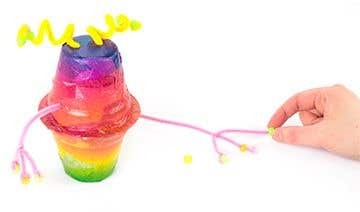 Thread a bead onto each finger and twist the end of the pipe cleaner to hold the beads in place. Make a second arm in the same way. Cut another pipe cleaner in half for the antennae. Twist both pieces of pipe cleaner into spirals then thread beads onto the ends. 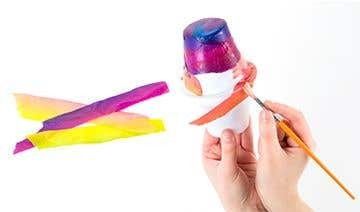 Ask an adult to make 2 small holes at the top and 2 at the sides of the alien body using a thick needle or the end of a pair pointed scissors. Push the arms into the side holes and bend them into shape. Push the antennae into the head. For the face, glue wiggle eyes to the top section of the body with a strip of tissue paper mouth. 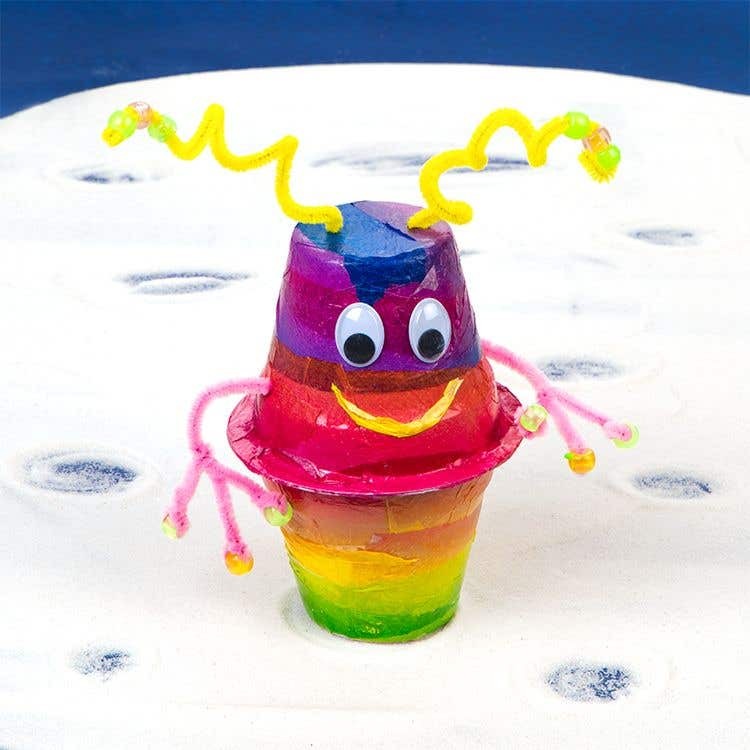 To make the aliens curly antennae, twist the pipe cleaners around a felt pen or paintbrush to make a spiral. Sign up for our newsletters to stay inspired!